This is the weekend everyone has been waiting for, particularly those whose brackets still are breathing. It’s NCAA men’s basketball Final Four time with two first-timers taking on two of the nation’s best-known programs. Here’s a look at how the national semifinal games may play out. One of the recurring themes of this year’s tournament, certainly around Charlottesville, was how Virginia would respond after their first-round loss to 16th seed UMBC in 2018. 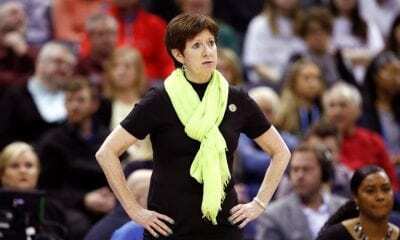 It was the first time in the history of the tournament a one seed had gone down as ignominiously, and any self-respecting Doubting Thomas – this side of Jefferson – wanted to know if there would be a repeat. And you know what, there almost was. First, the Cavaliers warmed up with a loss to Florida State in the semifinals of the ACC Tournament. And then Gardner-Webb gave them all they could handle in the first half of their 1-16 game before laws of the jungle prevailed. So give the Cavaliers credit for moving past recent history and making some new history by making it to the Final Four for the first time since 1984. After surviving Gardner-Webb, the Cavs mowed down Oklahoma, Oregon and Purdue in overtime in the Elite Eight. 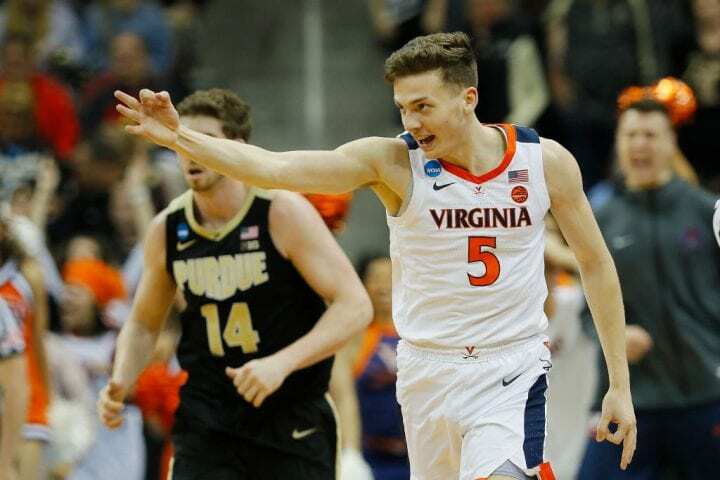 That game might have been the best to date with Virginia’s Kyle Guy and Purdue’s Carsen Edwards (42 points) counter-punching with three pointers in the second half. Guy is Virginia’s leading scorer (15.2) and he made 114 three-pointers this season to earn first-team accolades in the ACC. He will be joined in the backcourt by the often brilliant Ty Jerome, who averages 5.3 assists. Virginia is not Texas Tech, but its capable of staring you down defensively. And its defense is made tougher by the meticulous style it plays. The Cavs seemingly run only when necessary. This gives them the chance to set up on the defense end and they’re adept at clogging the middle and forcing you to make threes to beat them. Aside from their backcourt, which generates most of their offense, the Cavs have a top-quality talent in De’Andre Hunter. If Virginia is playing well on offense it should be difficult for the Tigers to compensate. Auburn almost was eliminated in the first round by New Mexico State. And if you watched that game, you came away with the feeling the Tigers did everything in their power to lose. So they should understand there’s a reason Virginia lost only three times this season. This is one of the nation’s top programs, although one that often gets lost in the ACC shuffle with Duke and North Carolina. But as Edwards showed last weekend, you can push the Cavaliers to the brink if you can make three-pointers. The Boilermakers made 14 of them and it almost won the game. As an emotional Charles Barkley can tell you, this is Auburn’s first trip to the Final Four and they are taking it with the controversial Bruce Pearl as its coach. This is a strange but someone compelling dynamic. The Tigers will try to disrupt Virginia defensively by running and they can run very effectively. Look, they have already beaten Kansas, North Carolina and Kentucky to get to Minneapolis. How scared of Virginia could they possibly be? There backcourt features the athletic Bryce Brown (15.8) and Jared Harper (5.9) and they are certain to squeeze into the gaps in the Cavs defense. Harper is the sparkplug and it will be his job to heighten the game’s heartbeat should Virginia try to slow it down. Brown is the executioner from beyond the arc. The Tigers might also have the most inspiration since they will play without Chuma Okeke who injured his knee in the Sweet 16 thriller against the Tar Heels. He was wheeled out behind his team’s bench in the second half against Kentucky and you could feel the vibe pick up. Of course, much of the reason Virginia will try to slow things down is to limit how many times Auburn touches the ball. That’s simple math. And if the Tigers aren’t hitting their threes, they are going to have to rely on their defense, which frankly was good enough to hold Kentucky to 71 points in an overtime game. 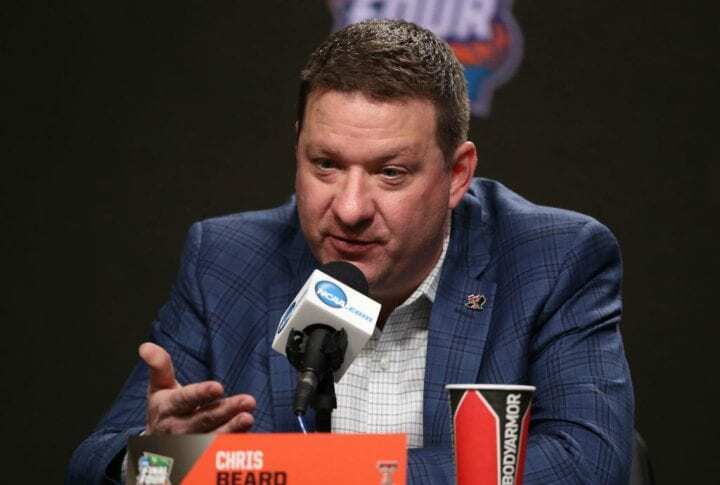 There is no more popular coach in the country right now than Chris Beard, the Associated Press’ national coach of the year. If he was not on the radar of big boy programs before, he most certainly is now. That’s not to say the Red Raiders are second-class citizens. 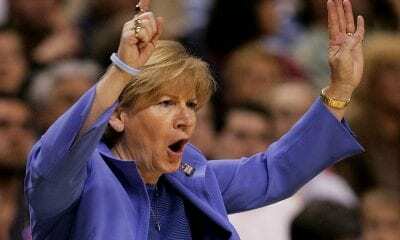 They reached the Elite Eight last year and they play the kind of defense Bob Knight probably wishes they did when he was their coach. Their first Final Four team has a legitimate star in Jarrett Culver, the 6-foot-5 guard. He leads the Red Raiders in scoring (18.9), rebounding (6.4) and assists (3.8). If Michigan State can take him out, or get him into foul trouble, it will have an enormous advantage. Still, this is also a classic “team” put together with transfers, fifth-year players and one kid from Italy, Davide Moretti, whose international flair led to 69 made threes. He shoots 46 percent from there. 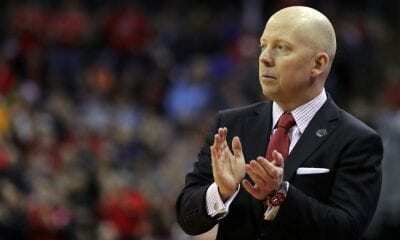 However, Texas Tech is here because of its ability to stop its opponent from scoring. They rank first in the nation. Yes, they are that good. They held Buffalo to 58, Michigan to 44 and powerful Gonzaga to only 69. The Red Raiders do what they have to do to win. They held the Wolverines to 16 first-half points and to 1-of-19 from three-point range. One of Tech’s missions will be to neutralize Michigan State point guard Cassius Winston. He’s the guy who gives the Spartans their juice. He has also been the one called on to keep the team together while their injuries began to pile up. The Spartans haven’t won a national championship since 2000, but they’ve played in four previous Final Fours since 2005. Tom Izzo is on the nation’s iconic coaches and there were many happy people when he finally beat Coach K and Duke in the Elite Eight to get here. Back to Winston: He is the team’s leading scorer (18.8) and assist guy (7.5). He’s made 82 three-pointers. When things get tough, you will either see the ball in his hands or Winston trying to get it to guys like Xavier Tillman and Kenny Goins. It was Goins who made the critical three-pointer with 39 seconds to play against Duke. In this sense, one might think Michigan State has the advantage. They appear deeper on offense and capable of doing what’s needed to disrupt Culver. But the Spartans are not a very consistent rebounding team, so they rarely get more than one offensive look per possession.